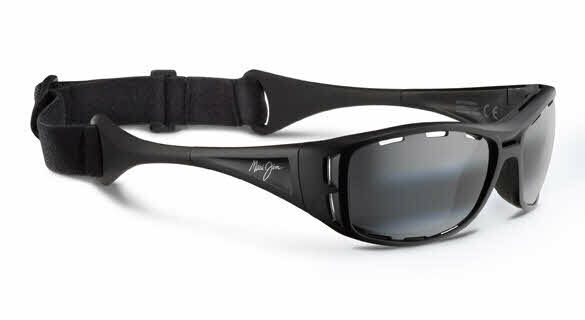 Maui Jim Waterman-410 is a Full Rim frame for Men and Women, which is made of Nylon. This model features a Oval/Rounded Edges shape, with a Saddle Bridge. Maui Jim Waterman-410 Sunglasses come with a cleaning cloth and protective carrying case. Best polarized sunglasses you can buy!! Great fit! Polarized lens like always the best from Maui Jims!! Awesome glasses. If you're in the sun a lot this is the glasses to get. This is truly the Hawaiian sunglasses!! All right!!! The Maui Jim Waterman sunglasses have many great unique features. However after wearing them for a period of time (where the soft rubber inlay and adjustable strap connect) has a tendency to put a significant amount of pressure on the side of you temple. If you wear a hat they become even more uncomfortable. Perhaps extending the soft rubber further back so the connection between the soft rubber and the adjustable strap does not rest on the temple may solve the problem. The strap issue is my only negative, otherwise great sunglass.